Getting ready to build, or struggling with, secure authentication in your Java application? Unsure of the benefits of using tokens (and specifically JSON web tokens), or how they should be deployed? I’m excited to answer these questions, and more, for you in this tutorial! Before we dive into JSON Web Tokens (JWTs), and the JJWT library (created by Stormpath’s CTO, Les Hazlewood and maintained by a community of contributors), let’s cover some basics. The set of protocols an application uses to confirm user identity is authentication. Applications have traditionally persisted identity through session cookies. This paradigm relies on server-side storage of session IDs which forces developers to create session storage that is either unique and server-specific, or implemented as a completely separate session storage layer. Very simply, using tokens in place of session IDs can lower your server load, streamline permission management, and provide better tools for supporting a distributed or cloud-based infrastructure. In the case of JWT, this is primarily accomplished through the stateless nature of these types of tokens (more on that below). If you try to post that form without the right CSRF token, you get an error response, and that’s the utility of tokens. The above example is a “dumb” token. This means there is no inherent meaning to be gleaned from the token itself. This is also where JWTs make a big difference. Learn how to set up OAuth2 for a Spring REST API and how to consume that from an Angular client. We learned how to store the Refresh Token in an AngularJS client app, how to refresh an expired Access Token and how to leverage the Zuul proxy. 2. What’s in a JWT? In this case, you can see that the token is much longer than in our previous example. Just like we saw before, if the form is submitted without the token you get an error response. The above token is cryptographically signed and therefore can be verified, providing proof that it hasn’t been tampered with. Also, JWTs are encoded with a variety of additional information. Each section is base64 URL-encoded. This ensures that it can be used safely in a URL (more on this later). Let’s take a closer look at each section individually. This shows that the JWT was signed with HMAC using SHA-256. When building a JWT, you can put in any custom claims you wish. The list above simply represents the claims that are reserved both in the key that is used and the expected type. Our CSRF has a JWT ID, an “Issued At” time, a “Not Before” time, and an Expiration time. The expiration time is exactly one minute past the issued at time. Finally, the signature section is created by taking the header and payload together (with the . in between) and passing it through the specified algorithm (HMAC using SHA-256, in this case) along with a known secret. Note that the secret is always a byte array, and should be of a length that makes sense for the algorithm used. Below, I use a random base64 encoded string (for readability) that’s converted into a byte array. This brings us back to the benefits of using a JWT as our CSRF token. We can verify the signature and we can use the information encoded in the JWT to confirm its validity. So, not only does the string representation of the JWT need to match what’s stored server-side, we can ensure that it’s not expired simply by inspecting the exp claim. This saves the server from maintaining additional state. Well, we’ve covered a lot of ground here. Let’s dive into some code! JJWT (https://github.com/jwtk/jjwt) is a Java library providing end-to-end JSON Web Token creation and verification. Forever free and open-source (Apache License, Version 2.0), it was designed with a builder-focused interface hiding most of its complexity. The primary operations in using JJWT involve building and parsing JWTs. We’ll look at these operations next, then get into some extended features of the JJWT, and finally, we’ll see JWTs in action as CSRF tokens in a Spring Security, Spring Boot application. The code demonstrated in the following sections can be found here. Note: The project uses Spring Boot from the beginning as its easy to interact with the API that it exposes. Show the signing keys currently in use. Generate new signing keys and show them. Explicitly set secrets to use in the application. In the sections that follow, we will examine each of these endpoints and the JJWT code contained in the handlers. The cryptographic signing of the JWT (making it a JWS). The compaction of the JWT to a URL-safe string, according to the JWT Compact Serialization rules. The final JWT will be a three-part base64-encoded string, signed with the specified signature algorithm, and using the provided key. After this point, the token is ready to be shared with the another party. This is very similar to the code that’s in the StaticJWTController.fixedBuilder method of the code project. Any of the HS type signature algorithms takes a byte array. It’s convenient for humans to read to take a string and convert it to a byte array. Anti-pattern 1 above demonstrates this. This is problematic because the secret is weakened by being so short and it’s not a byte array in its native form. So, to keep it readable, we can base64 encode the byte array. However, anti-pattern 2 above takes the base64 encoded string and converts it directly to a byte array. What should be done is to decode the base64 string back into the original byte array. Number 3 above demonstrates this. So, why is this one also an anti-pattern? It’s a subtle reason in this case. Notice that the signature algorithm is HS512. The byte array is not the maximum length that HS512 can support, making it a weaker secret than what is possible for that algorithm. The example code includes a class called SecretService that ensures secrets of the proper strength are used for the given algorithm. At application startup time, a new set of secrets is created for each of the HS algorithms. There are endpoints to refresh the secrets as well as to explicitly set the secrets. If you have the project running as described above, execute the following so that the JWT examples below match the responses from your project. The response has all the claims that we included when we created the JWT. This is the parsing operation, which we’ll get into in the next section. Now, let’s hit an endpoint that takes claims as parameters and will build a custom JWT for us. Note: There’s a subtle difference between the hasMotorcycle claim and the other claims. httpie assumes that JSON parameters are strings by default. To submit raw JSON using using httpie, you use the := form rather than =. Without that, it would submit “hasMotorcycle”: “true”, which is not what we want. Line 2 ensures that the incoming JSON is automatically converted to a Java Map<String, Object>, which is super handy for JJWT as the method on line 5 simply takes that Map and sets all the claims at once. As terse as this code is, we need something more specific to ensure that the claims that are passed are valid. Using the .setClaims(Map<String, Object> claims) method is handy when you already know that the claims represented in the map are valid. This is where the type-safety of Java comes into the JJWT library. For each of the Registered Claims defined in the JWT specification, there’s a corresponding Java method in the JJWT that takes the spec-correct type. Just like before, the method accepts a Map<String, Object> of claims as its parameter. However, this time, we are calling the specific method for each of the Registered Claims which enforces type. One refinement to this is to make the error message more specific. Right now, we only know that one of our claims is not the correct type. We don’t know which claim was in error or what it should be. Here’s a method that will give us a more specific error message. It also deals with a bug in the current code. Now, we have a very specific error message telling us that the sub claim is the one in error. Let’s circle back to that bug in our code. The issue has nothing to do with the JJWT library. The issue is that the JSON to Java Object mapper built into Spring Boot is too smart for our own good. Note: In all the example code in this section, JWTs are signed with the HMAC using SHA-256 algorithm. This is to keep the examples simple. The JJWT library supports 12 different signature algorithms that you can take advantage of in your own code. Line 4 indicates that we expect the incoming string to be a signed JWT (a JWS). And, we are using the same secret that was used to sign the JWT in parsing it. Line 5 parses the claims from the JWT. Internally, it is verifying the signature and it will throw an exception if the signature is invalid. Using the access to the JwsHeader, I can inspect the algorithm and return the proper byte array for the secret that was used to sign the JWT. Now, JJWT will verify that the JWT has not been tampered with using this byte array as the key. While the focus of this post is not Spring Security, we are going to delve into it a bit here to showcase some real-world usage of the JJWT library. Cross Site Request Forgery is a security vulnerability whereby a malicious website tricks you into submitting requests to a website that you have established trust with. One of the common remedies for this is to implement a synchronizer token pattern. This approach inserts a token into the web form and the application server checks the incoming token against its repository to confirm that it is correct. If the token is missing or invalid, the server will respond with an error. Spring Security has the synchronizer token pattern built in. Even better, if you are using the Spring Boot and Thymeleaf templates, the synchronizer token is automatically inserted for you. By default, the token that Spring Security uses is a “dumb” token. It’s just a series of letters and numbers. This approach is just fine and it works. In this section, we enhance the basic functionality by using JWTs as the token. In addition to verifying that the submitted token is the one expected, we validate the JWT to further prove that the token has not been tampered with and to ensure that it is not expired. To get started, we are going to configure Spring Security using Java configuration. By default, all paths require authentication and all POST endpoints require CSRF tokens. We are going to relax that a bit so that what we’ve built so far still works. We are doing two things here. First, we are saying the CSRF tokens are not required when posting to our REST API endpoints (line 15). Second, we are saying that unauthenticated access should be allowed for all paths (lines 17 – 18). This is all the confirmation you need to know that Spring Security is functioning and that the Thymeleaf templates are automatically inserting the CSRF token. The generateToken method creates a JWT that expires 30 seconds after it’s created. With this plumbing in place, we can fire up the application again and look at the source of /jwt-csrf-form. Huzzah! Now our CSRF token is a JWT. That wasn’t too hard. On line 9, we’ve added in a filter and we are placing it in the filter chain after the default CsrfFilter. So, by the time our filter is hit, the JWT token (as a whole) will have already been confirmed to be the correct value saved by Spring Security. // CsrfFilter already made sure the token matched. Take a look at line 23 on. We are parsing the JWT as before. In this case, if an Exception is thrown, the request is forwarded to the expired-jwt template. If the JWT validates, then processing continues as normal. This closes the loop on overriding the default Spring Security CSRF token behavior with a JWT token repository and validator. We’ll close out our JJWT journey with a word on some of the features that extend beyond the specification. As part of the parsing process, JJWT allows you to specify required claims and values those claims should have. This is very handy if there is certain information in your JWTs that must be present in order for you to consider them valid. It avoids a lot of branching logic to manually validate claims. Here’s the method that serves the /parser-enforce endpoint of our sample project. Lines 5 and 6 show you the syntax for registered claims as well as custom claims. In this example, the JWT will be considered invalid if the iss claim is not present or does not have the value: Stormpath. It will also be invalid if the custom hasMotorcycle claim is not present or does not have the value: true. This indicates that our hasMotorcycle claim was expected, but was missing. This indicates that our hasMotorcycle claim was present, but had a value that was not expected. MissingClaimException and IncorrectClaimException are your friends when enforcing claims in your JWTs and a feature that only the JJWT library has. If you have a lot of claims on a JWT, it can get big – so big, that it might not fit in a GET url in some browsers. Notice on line 6 we are specifying a compression algorithm to use. That’s all there is to it. Notice the calg claim in the header. This was automatically encoded into the JWT and it provides the hint to the parser about what algorithm to use for decompression. NOTE: The JWE specification does support compression. In an upcoming release of the JJWT library, we will support JWE and compressed JWEs. We will continue to support compression in other types of JWTs, even though it is not specified. JJWT is an easy to use tool for developers to create and verify JWTs in Java. Like many libraries Stormpath supports, JJWT is completely free and open source (Apache License, Version 2.0), so everyone can see what it does and how it does it. Do not hesitate to report any issues, suggest improvements, and even submit some code! jsonwebtoken.io is a developer tool we created to make it easy to decode JWTs. Simply paste an existing JWT into the appropriate field to decode its header, payload, and signature. jsonwebtoken.io is powered by nJWT, the cleanest free and open source (Apache License, Version 2.0) JWT library for Node.js developers. You can also see code generated for a variety of languages at this website. The website itself is open-source and can be found here. java.jsonwebtoken.io is specifically for the JJWT library. You can alter the headers and payload in the upper right box, see the JWT generated by JJWT in the upper left box, and see a sample of the builder and parser Java code in the lower boxes. The website itself is open source and can be found here. JWTs add some intelligence to ordinary tokens. 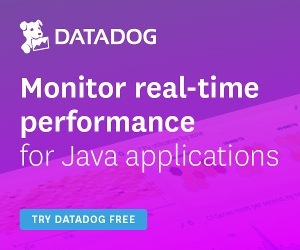 The ability to cryptographically sign and verify, build in expiration times and encode other information into JWTs sets the stage for truly stateless session management. This has a big impact on the ability to scale applications. At Stormpath, we use JWTs for OAuth2 tokens, CSRF tokens and assertions between microservices, among other usages. Once you start using JWTs, you may never go back to the dumb tokens of the past. Have any questions? Hit me up at @afitnerd on twitter. This has worked out well for us, though there is no mechanism in place for the “signature service” to know whether or not the header+payload has been tampered with. Instead, the authorization endpoint verifies the header+payload(held in memory)+signature(returned from service) with a public key. If the header+payload was tampered with on its way to the security service, the public key verification by the authorization endpoint would fail. And thanks for helping clear up some of the acronym soup. My pleasure! Glad it’s working well for you. I’m assuming you mean using spring-session as well. Sure – that’s definitely an option, but of course that’s optional. I think the main focus here is the JWT + WebSockets implementation – that would be the interesting part to cover in a new article. I’m adding it on the Content Calendar of the site. hi there. I am concerned about of how JWT tokens are securely transferred between client and server for REST APIs. Can you help me with the possible options for JWT token transport which may be, in query string or , Http Header , using HTTPS or any other good option? I recently came across this — https://paragonie.com/blog/2017/03/jwt-json-web-tokens-is-bad-standard-that-everyone-should-avoid. Seems like something to be aware of when considering JWT.